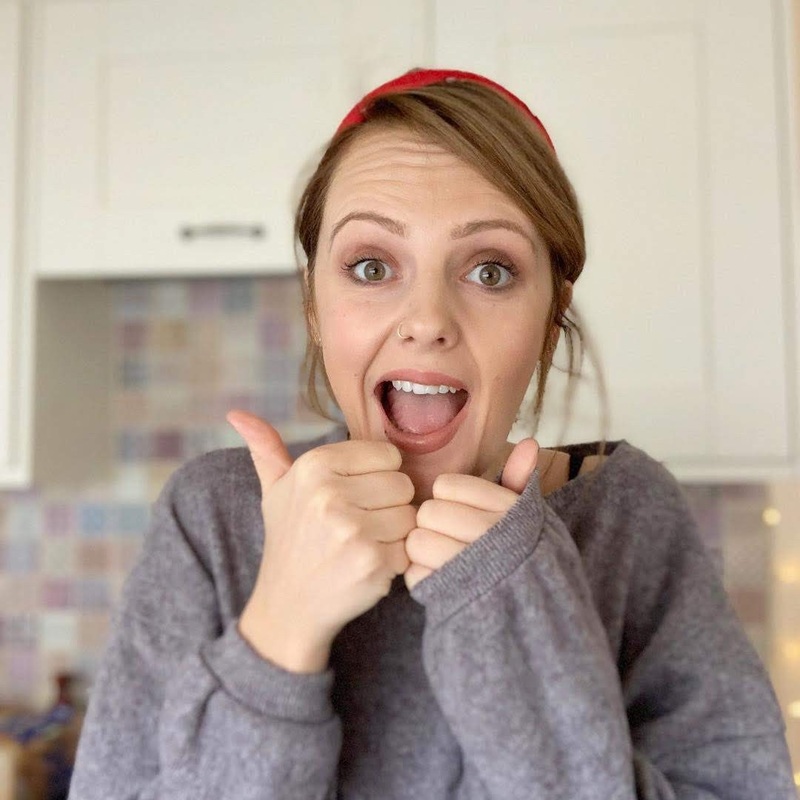 I first remember hearing about Bare Minerals in a rather cheesy infomercial that was on very late at night years ago - women were dramatically gasping at the results of it and I immediately thought it was too good to be true and brushed it off. It wasn't until a few years later when Bare Minerals really took off that I realised that there must be something in it. 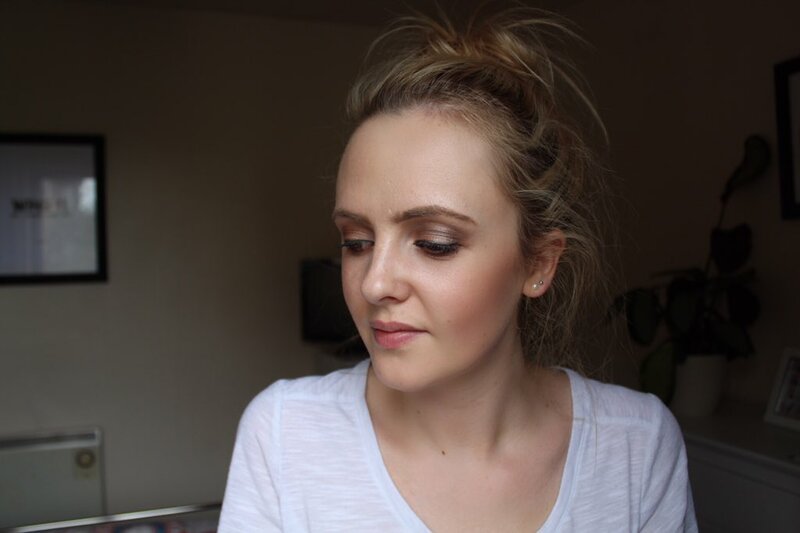 More recently, I've been drawn to trying Bare Minerals Original foundation out as a healthier alternative to liquid foundation. The Original Foundation comes with an SPF15 which is always a bonus and is a powder containing 5 minerals - it is also said to diminish fine lines and wrinkles with it's smooth formula. In addition to this, it's formulated without parabens, binders or fillers which is exactly why I wanted to try something less harsh on my skin that can also give me a good coverage. 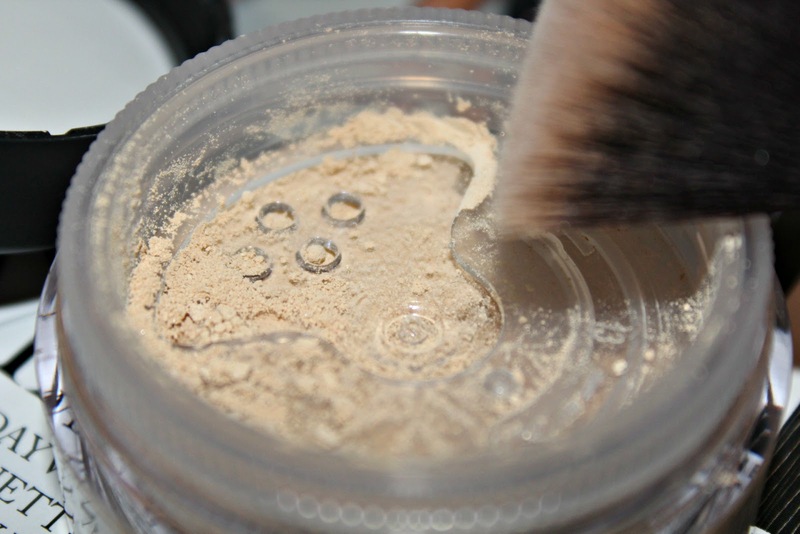 The Original Foundation is a fine and soft powder and comes in a small-ish pot. I chose the shade Golden Fair W1O that is just a tad too light but easily fixed with a light dusting of bronzer, as with all foundations I strongly suggest getting yourself colour matched in a store and not just winging it like I often do. I thought it was simple, you just get in a brush and shove it on your face. I can confirm that that's not how you apply it; this method caked the product rather then evenly applied it to my face. After some more research, I grabbed my powder brush (Spectrum Domed Buffer B02) if anyone is wondering and tipped some powder into the lid of the pot and swirled the brush around it before tapping off any excess powder and applying it to my face, this method is said to ever so slightly heat the minerals which triggers the change to creamy texture and easier application. Softly is the approach to use as too much pressure when buffing can press the product into pores and leave an uneven finish, a little also goes a long away but for a fuller coverage try layering up rather than trying to whack it all on in one go. I've been using Too Faced's Hangover Primer a lot recently as smooths out my skin the best and works just as well with a powder foundation as a liquid. The only downside to the powder is that it doesn't work with oily skin at all, I had a patch of oily skin on my nose that it just wouldn't take to so bare this in mind if you're thinking of giving it a bash. 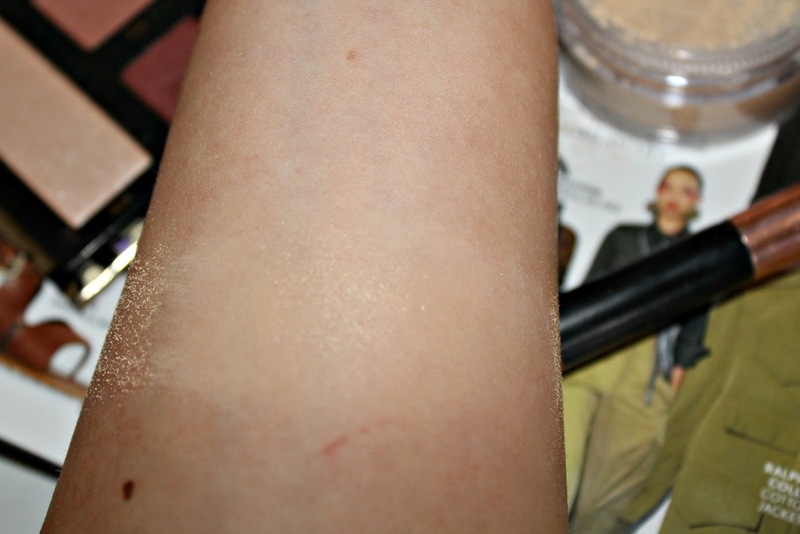 I love the finish, it provides a healthy glow with full coverage - dependant on how much is applied. I also like the weightless feel and how my skin doesn't feel like it has product on. I does last eight hours but I've found that eight hours is pretty much your limit (not that there's anything wrong with that) but I noticed that it started to rub off after this and as my skin sweated etc. 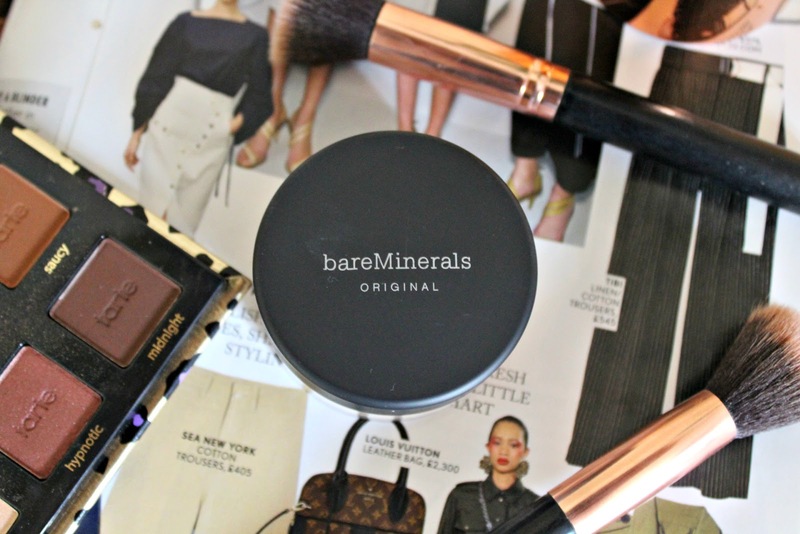 Overall I'm really pleased with Bare Minerals and will certainly be looking to try more of their range, the full finish and how buildable it is the bonuses for and me the strong reaction it has with oily patches is the only negative. I got this from Look Fantastic as they often have some really good offers on beauty products, FYI and I bagged this beauty for £21.41 at the time - this offer seems to be unavailable now but I advise keeping your eye out for more bargains 👀. This product seems to be jut what I need to keep a glow to my face all day long and look fresh through out the day.